A great apartment in Paris! : Internet fame! Almost like real fame! Yay! 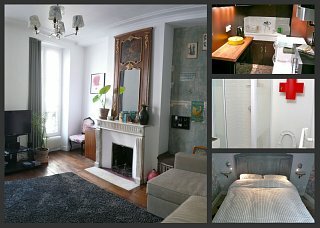 We hooked up with websites unplggd.com and Apartment Therapy after they had a look at our Flickr photo gallery. - what we were trying to achieve. Anyway, click the screencap or here to read the article!